Trading since early 2010 Red Fox New Media have been getting by on the holding page set-up in the first few days after incorporation, what does that say about us? Well, we’ve been extremely busy keeping our paying customers happy, developing and improving our additional features such as email and web hosting as well as running the day-to-day behind the scenes side of our business. We’ve been kicking ourselves for ages over this, a holding page isn’t exactly a great advertisement for us, So, at long last, time has been found between paying work and other projects to develop our new website. 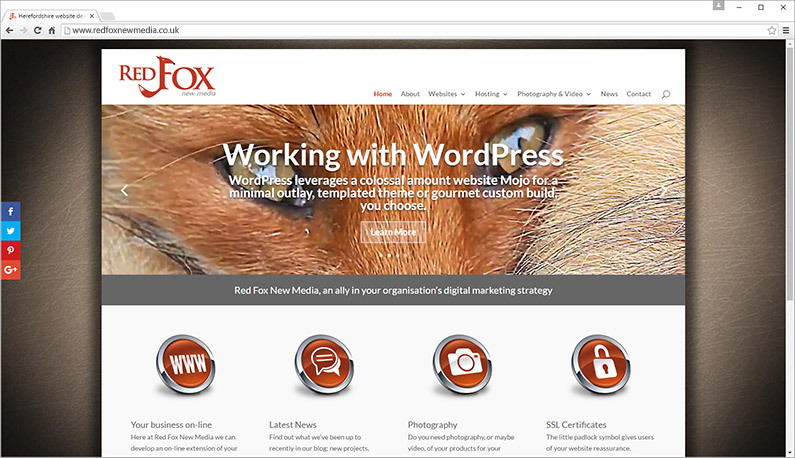 Built on the WordPress platform to allow easy maintenance and updating. WordPress is a mature and stable Content Management System (CMS) driven website and blogging platform that can be used to create extremely effective websites. It is modular in nature allowing a vast range of additional functionality to be added by means of plugins. If you want to know more click here.